What makes something sentient? What does it take for an entity to be aware of its own existence and to want to interact with the world of its own accord? Is it a gift from God or hard science? Is it something fundamentally human or animal in nature or is it a simple technological principle based on brain size? There are many models, of course. But, if consciousness is simply a natural product of neural complexity then eventually, in theory, we might build something – a computer or a machine – that was actually big enough to wake up! 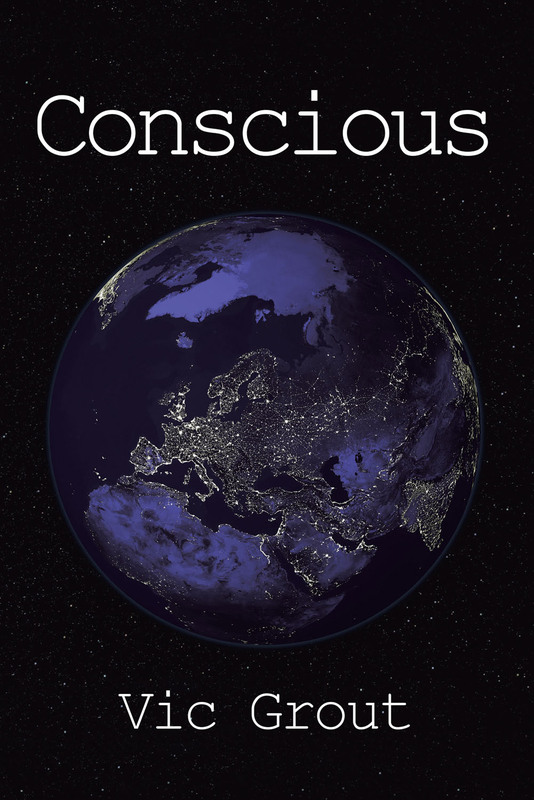 Vic Grout’s Conscious is set a year or three into the future. The ‘Internet of Everything’ is making the world a more connected place than ever before. People’s lives are becoming increasingly automated. But something odd is happening … ‘Things’ are beginning to misbehave and no-one can work out why. What starts as an amusing inconvenience quickly becomes very serious indeed! A ragged bunch of academics, scientists and philosophers are on the case – and may know the answer. But now they have to convince people that their crazy explanation is true. And that’s only the start. Against a backdrop of a world suddenly beginning to fall apart, they’re in a race against time to get someone to do anything about it. And not everyone is on their side!